You are on the verge of reading the most useful Ushers Manual ever published. How do you handle dangerous weather? What should be done when a person gets sick or has a heart attack during church? Do you know where the stretchers are located, where the up-chuck inhibitor is stored, and whom to call when an emergency occurs? What about fire or when the power goes off? Are fire extinguishers and flashlights available for such emergencies? How do you handle accidents in the parking lot, unruly children, pets left in vehicles on hot days, and other parking problems? 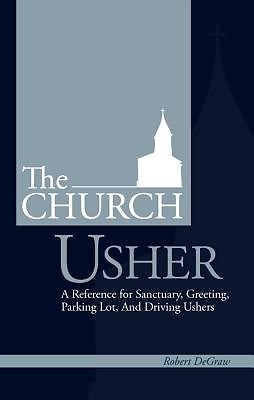 The Church Usher gives full detail on these topics: Usher training, Service duties, Children in the worship service, Parking Lot ushering, and Transportation ushering. Forms and check lists are included as well as information about first aid. There are chapters covering procedures, supplies, and equipment needed to operate each of these important lay ministries. The Church Usher is an indispensible tool for the one room church as well as the mega church. Safety and first aid are rarely covered like they are in this easy-to-read reference. There is so much more to being a good usher than helping people find their seats and taking the offering. The Church Usher will help you be the best you can be.